Although there are several third-party apps available out there that would help you in encrypting USB flash drive that is connected to your Windows computer, using the built-in Windows tool named BitLocker is preferable as it is secure and requires no additional monetary investment. 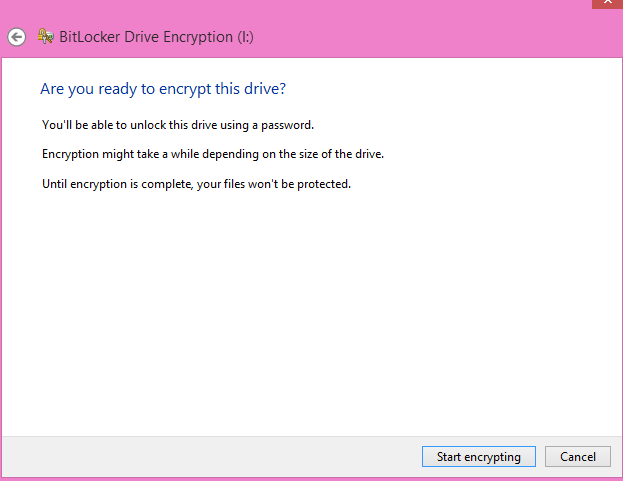 Before using the Bit Locker to encrypt a USB flash drive, you must ensure that the hardware of your computer supports Bit Locker, and the operating system that is installed on the computer is any non-home flavor of Windows Vista/7/8/8.1. Note: Home flavors of Windows Vista/7/8/8.1 do not have BitLocker tool in them. Also, any version of Windows before Windows Vista does not have BitLocker. ■Ensure that you have inserted the USB flash drive in the USB port of your PC. 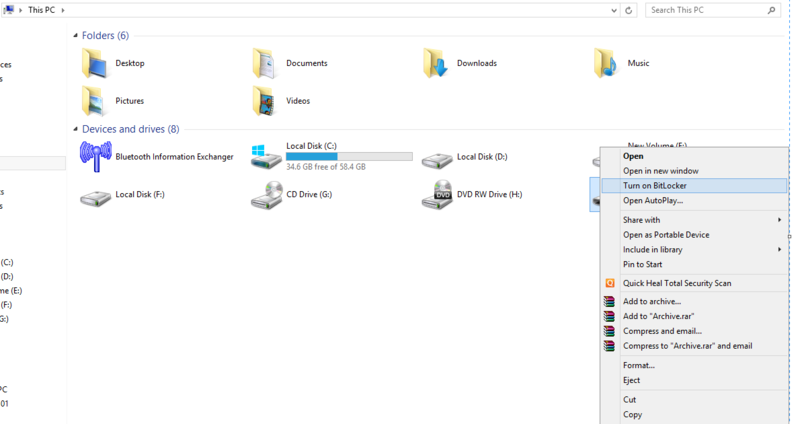 ■From the right pane, under the Devices and drives section, locate and right-click the icon representing your USB drive. 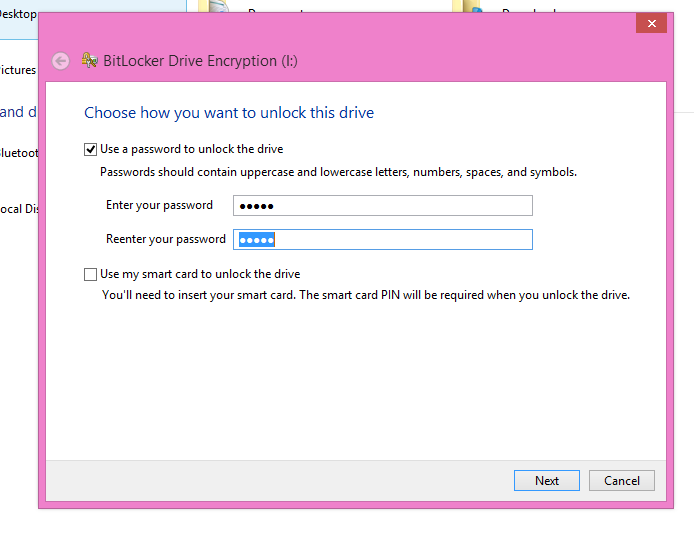 ■From the context menu, click Turn on BitLocker. 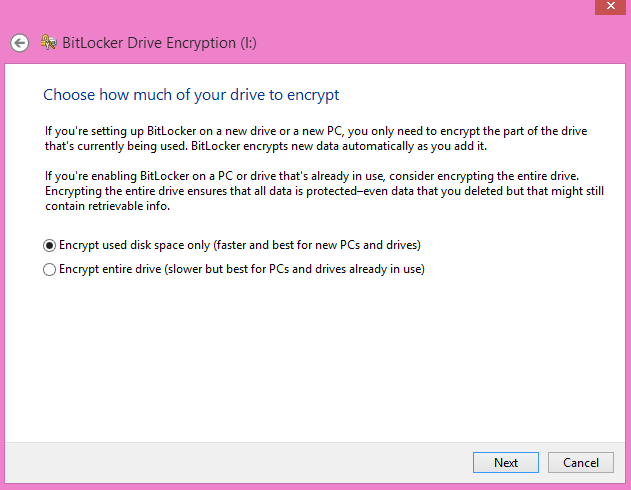 Note: Wait until BitLocker initializes your flash drive. ■From the next window that appears, click to select the appropriate option (i.e. Save to your Microsoft account, Save to a file, or print the recovery key) to pick a destination where you want to save your recovery key. 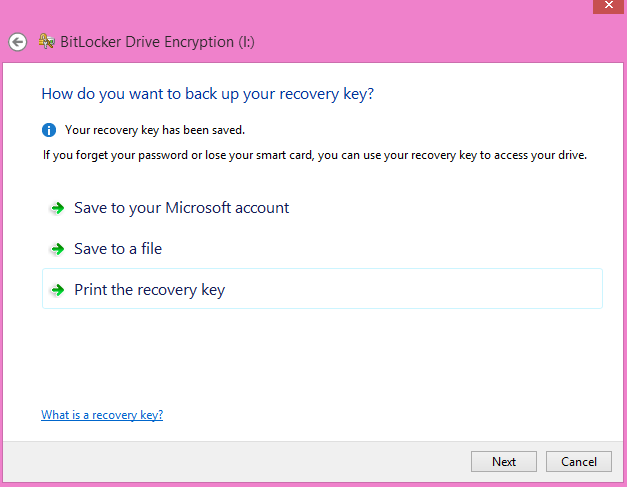 ■From the Save BitLocker recovery key as box, browse for the location to save your recovery key, and click Save. Note: The recovery key is the backup key that you can use to access your USB flash drive in case you forget your password or lose your smart card. ■On the Choose how much of your drive to encrypt window, ensure that Encrypt used disk space only (faster and best for new PCs and drives) radio button is selected and click Next. ■Once done, click Start encrypting from the next interface. 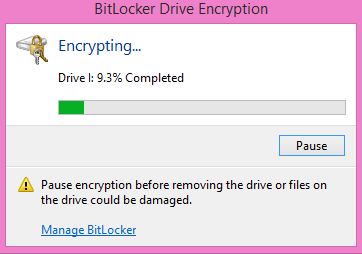 ■When the BitLocker Drive Encryption interface comes up, wait till the process completes. Note: In order to access your USB flash drive, you must connect the drive to the computer on which it was encrypted, and provide the correct password to unlock. How does Asymmetrical Encryption Work? ?